Sometimes for practicality’s sake, you have to purchase some “for now” furniture. Maybe there’s not room in the budget right now for that perfect “forever” piece that will become a family heirloom, passed down from generation to generation. And so, growing weary of enjoying your daily bowl of Cap’n Crunch from the floor, you set out and find something – anything – to sit on. That’s the position we knew we would be in when we purchased our foreclosure home last year. The priority was of course cosmetic fixes to make our home livable. So we had to get creative with our furnishings budget. 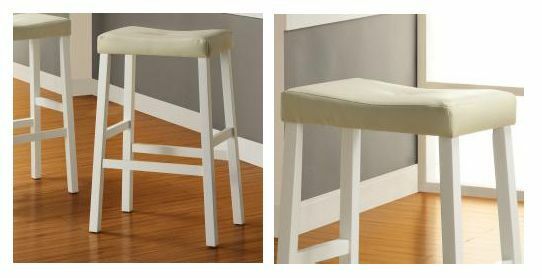 One of the items we knew we could make do with a temporary fix was barstools. We purchased these babies for a whopping price of about $150 for all four online. 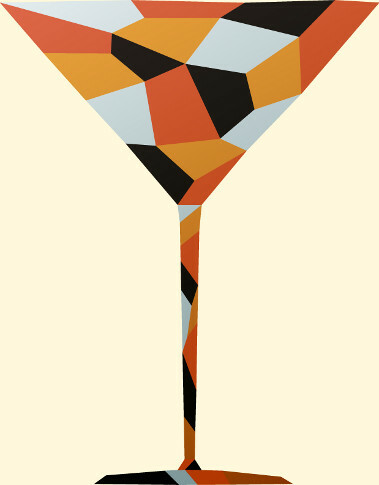 They were the right dimensions for our bar, they were simple, they were upholstered, they would work. And of course as with may things in this low price range, “some assembly” was required. With the help of my awesome little bro Preston, we secured all 16 legs by Allen Wrench and had ourselves a place to eat breakfast! But just because we had to start with these lower-end pieces did not mean that they had to look like Plain Janes forever. 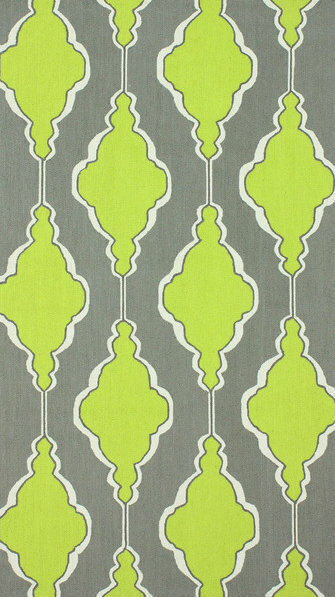 When we got a bit more settled in the house, I gave them some personality by recovering them in a chevron fabric by Premiere Prints that was less than $10 a yard. 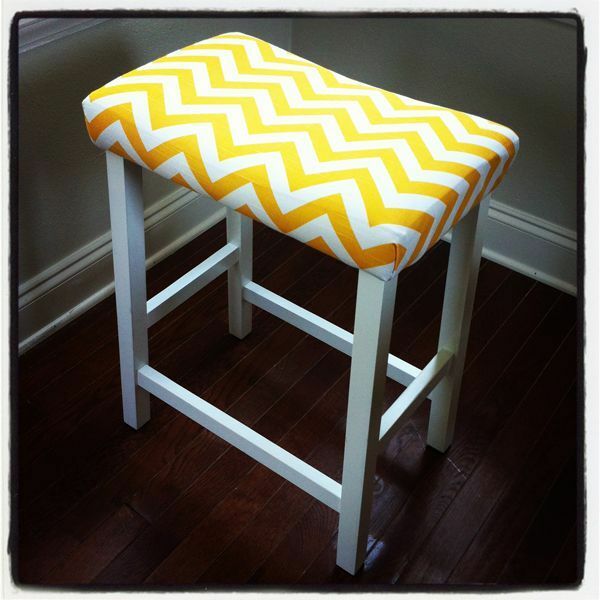 It only took a couple of yards for all four stools, and I hand stapled it all myself, so it was very affordable. I added a couple layers of Scotchgard to protect the fabric and voila! 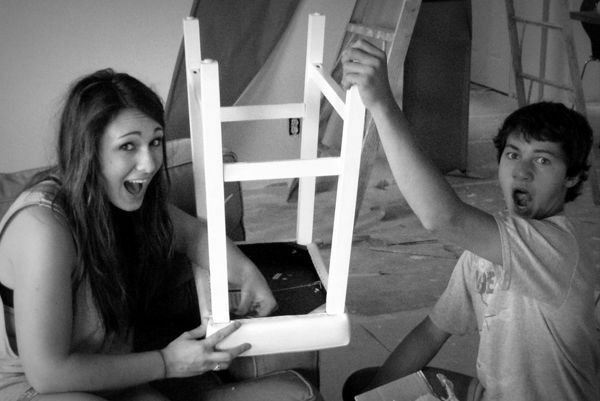 We had ourselves a pretty darn cute and very affordable seating solution that met our needs. Sure, maybe they still require a leg-tightening session with my trusty Allen Wrench from time to time, but I’ve learned to look forward to our tune-up time together. Last but not least, I covered and added the button tuft back in the center of each seat… but I’ll show you how I learned to do that in more detail in another post! 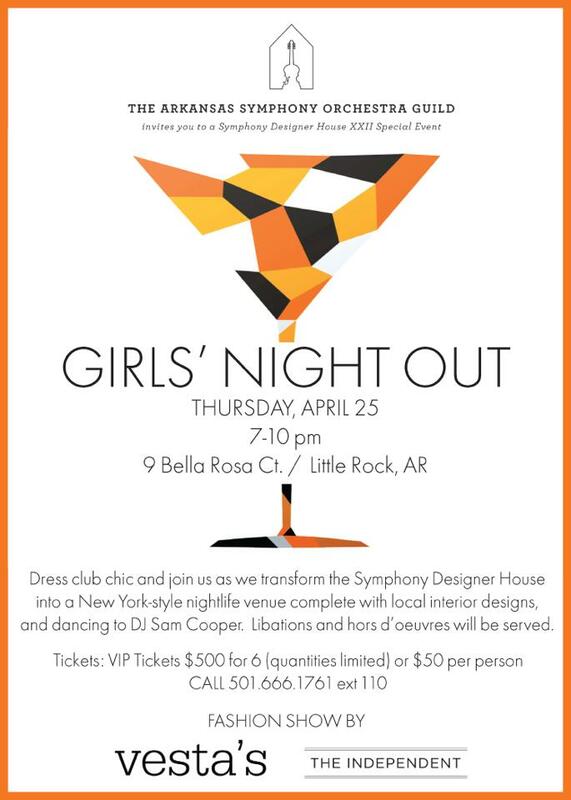 Don’t miss the next big event at the Arkansas Symphony Orchestra Designer House XXII – Girls Night Out is tomorrow night, and you’re invited! 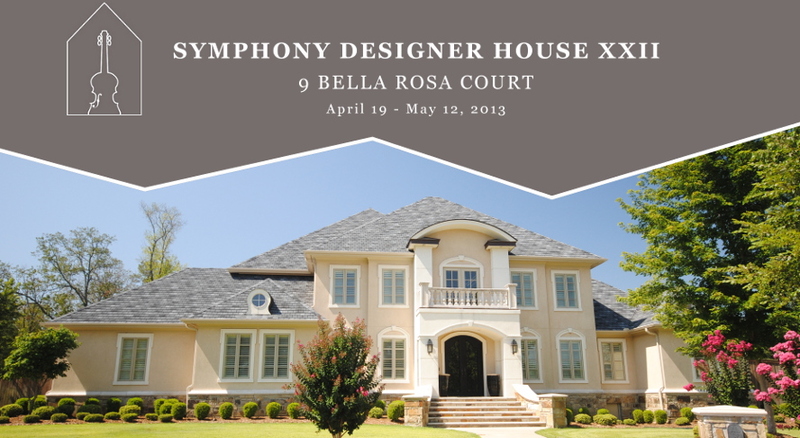 Sponsored by the wonderful At Home in Arkansas, this is sure to be a fun-filled and fabulous evening. 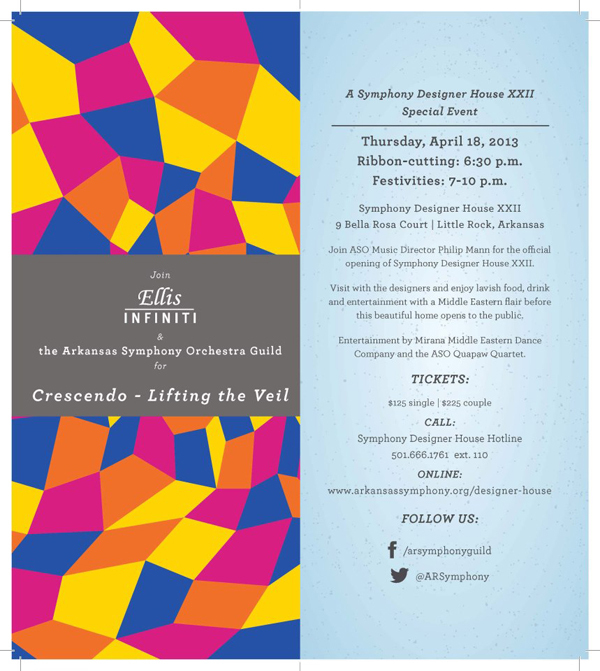 For more info, tickets, and directions, check out the ASO web page here. I am planning to be there (possibly a bit late as I will be coming directly from the class I teach on Thursday nights – still working on being in two places at once :)) and will look forward to seeing you there. Round up your girlfriends and come join the fun! 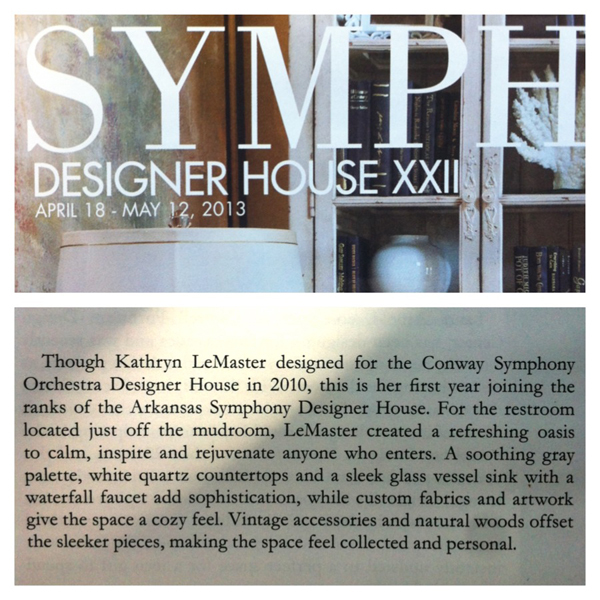 Last night was the Crescendo Party and “unveiling” of the ASO Designer House XXII! What a fantastic night it was. Though the weather tried to rain on our parade, everyone pressed on to pull off this fabulous event, mud and all! Thanks to everyone involved for such a memorable evening. 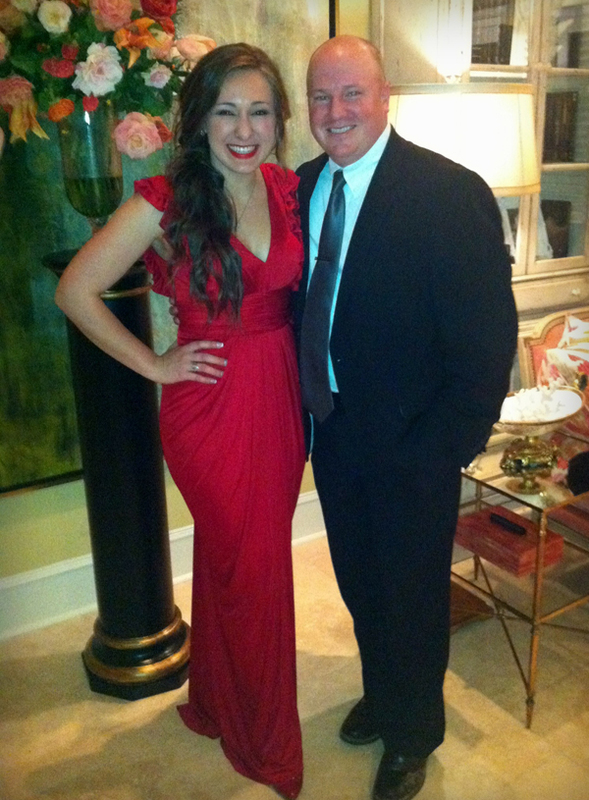 I was so happy to have my sweet husband Will there with me for the evening. Talk about a supportive guy! He should win a prize. Me & my handsome date! Hopefully this piques your interest and you’ll want to go see it and the rest of the rooms for yourself! The house is official open to the public for tours starting today at 10am. The hours are 10a-4p Tuesday through Saturday, and 1p-4p on Sundays now through May 12th. Make sure to visit the website here to find out more info and check out the remaining events. 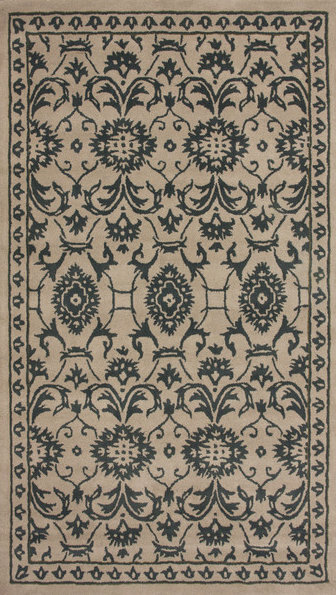 Just to give you a little perspective, the average “Garden Ridge” area rug is about 5’x7′-6″ in size and may run between $200-$300 From what I’ve seen, that’s usually for a synthetic material like nylon or polyester. 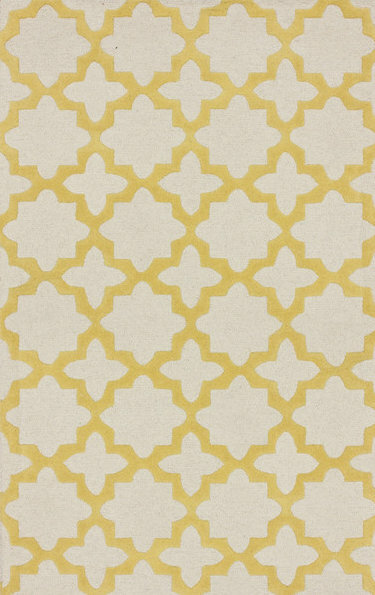 If you’re going for the indoor/outdoor rug look and texture and find a pattern you love, that may be just fine. See something that excites in the above image? No? Well, maybe you’d have better luck in store. But maybe not. 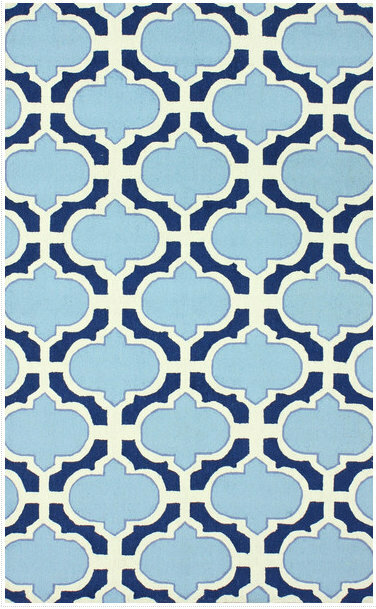 So this Monday morning I wanted to share with you one of my favorite rug solutions available through online retailers, nuLOOM. 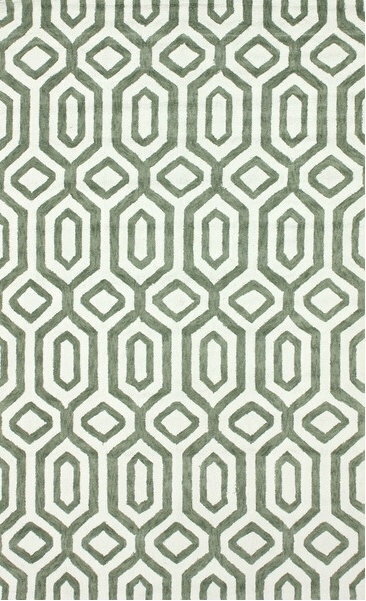 I love them because they do a great job of bridging the gap between quality and affordability, and their patterns are oh-so fun! 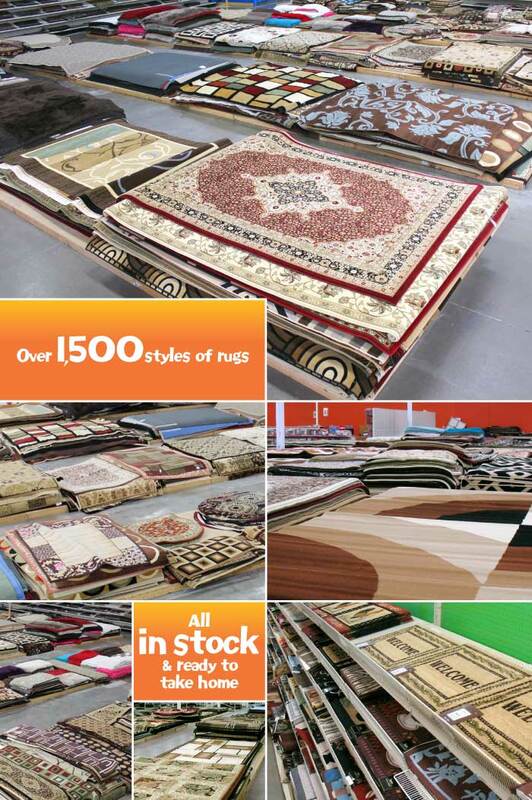 Most of their styles fall under modern or transitional, but they do offer traditional patterns too so there is a little something for everyone! 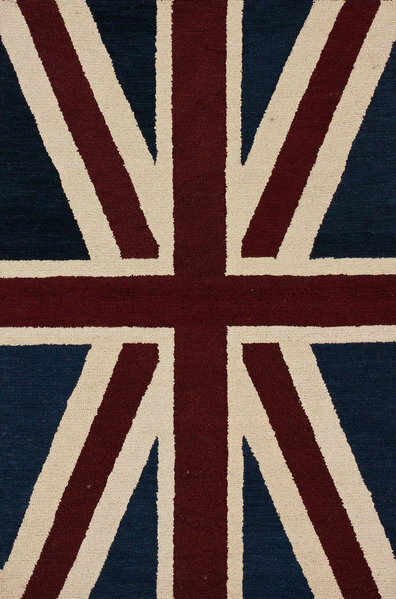 So there’s your first bit of good news today – you CAN have your rug and afford it too! I’m so very glad you stopped by today and I hope you come back for more practical design insights in the future.